← Expectation Setting – Who Cares? I was fortunate to attend an evening hosted by one of my local football clubs on Friday night. The guest speaker was Ange Postecoglou, head coach of our local nationally based football (soccer) side, the Brisbane Roar. Ange has represented Australia playing football and has successfully transitioned into coaching ranks. Ange was able to offer significant insight into his own style and the great success his club has had in recent seasons. The re were several points about leadership and team culture that particularly resonated for me. A selection of the key points raised by Ange are highlighted below, followed by my own thoughts about how they translate to the business environment. Point 1: The team exists because of the players and their ability to perform and follow the team plan. All other people in the club, including the coach, CEO and other staff are there because of the players and they should be served accordingly. My Thoughts: This is as true in business as in sport. As conveyed by Ken Blanchard and other thought leaders, the ability and willingness to serve your team as individual’s and a unit is one of the great leadership mindsets. You are there for your team, not the other way around. Point 2: If you really believe in something, you must be prepared to make decisions and stick by them. Ultimately the buck stops with the head coach, so make sure you are in a position to make decisions and reinforce them through action. My thoughts: Every leader has their own style. Some are more decisive, democratic, inclusive etc. however the leader should lead. This requires the ability to make decisions, align them to business and team goals and compel others to buy into the concepts because overall accountability still sits with the you as the leader and it is difficult to achieve on your own. Point 3: Although Ange acknowledged he is ‘not a fan’ of confrontation, he is more than willing to take it on when it comes his way. My thoughts: Although I have met very few people who enjoy confrontation (there is a difference between ability to manage confrontation and enjoying it), the skill to effectively manage confrontational situations is key to leadership. Emotional intelligence, engagement and empathy are important in my experience – reading the situation clearly by understanding the other person’s perspective and reasons why the situation has escalated help to manage confrontation. Point 4: Not everyone will fit into your team culture, plan and goals, even if they are very good players and stalwarts of the team. 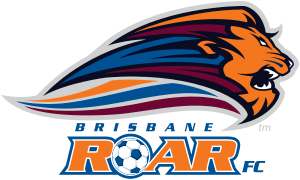 (Note: when Ange took over coaching the Brisbane Roar team in 2009, he chose to release a handful of key players and the captain, which, although unpopular with supporter’s and the media at the time, have proven to be the right moves). My thoughts: This is an interesting point. Through force of conviction, clear goals and direction, Ange was able to identify those player’s who were willing and flexible enough to transition across to the new team culture. ‘Star’ players and high performance historically does not necessarily translate to continued success within a different culture and/or set of expectations. Point 5: Performance – it is OK to make mistakes if you are playing the team way. Be prepared to allow player’s to make mistakes, but not if they are playing as individual’s. Be brave and allow the players to express themselves, within the team guidelines. My thoughts: Within my team and when I am facilitating leadership development sessions, I often discuss the concept of boundaries and expectations. Among other expectations, it is imperative to set clear direction and limits so that all team member’s are aware of guidelines, where they fit in, what they will be measured upon and how they are supported. Without it you are encouraging individualism, creating confusion and an environment of assumptions. I have found it is about finding the balance between expectation-setting and providing enough space to be innovative, creative and proactive. Point 6: Ange would prefer to see the team play the team way and adhere to the team structure and lose than get a good result by not following the team plan. He was able to offer examples of games where he was happy overall with the effort, organisation and structure of the game but the result did not go the team’s way. Alternatively he has on occasion been unhappy with the team’s response even with a good result. His message was clear, how we get there is just as important, if not more so, than the end result! My thoughts: I could not agree more with this concept. Too often I see managers rewarding and recognising employees based on the end result, with no regard as to how it was achieved. I interpreted this message as the ‘right’ journey will more often than not provide the ‘right’ result and the team culture, ethic and standard will be reinforced even further as a result. This point focuses on the ‘how’. Ultimately, the long-term culture and level of understanding benefits from this mindset. This also relates to the belief from some that ‘the end justifies the means’, which I do not support. I have often seen greater growth and learning occur for someone through the sequences contained within the journey more so than benefits achieved from the outcome. The outcome in itself is a short-lived effect – the path to get there has many opportunities to learn and contribute. Developing a strong team brand, aligned to values and integrity will always create a team dynamic and culture that has long-term benefits, even through the challenge of staff turnover and transition periods. Point 7: Each morning, the players have to shake the hand and acknowledge every other player, staff member and employee of the club that they come across. My thoughts: Another interesting concept. Although it feels a little contrived, ‘forcing’ this initially may have felt unnatural to some player’s, however I see the point. Being present and engaging those in your team and beyond creates a dynamic and inclusive environment. Hopefully this becomes a natural part of the culture and ultimately more ‘real’ for those involved, however initially creating a team standard more overtly has obvious benefit. Essentially, show an interest in your people because you are actually interested not because you feel you should! Point 8: You play for what’s on the front of the jersey (team jumper) not what’s on the back! My thoughts: I love this point! 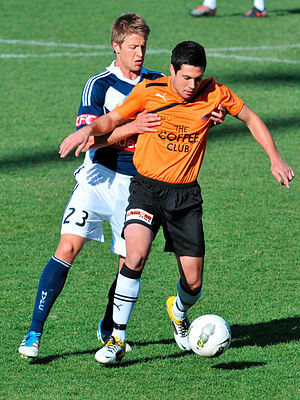 The front of the jumper has the team logo (Brisbane Roar); national competition logo (A-League); and the sponsors logo. Ange is reinforcing that the player should respect and be proud of the club, the association that provides the opportunity to play and the sponsors who enable the team to succeed through sponsorship and funding. The back of the jumper has the player’s name and player number. The message is clear – in the Roar culture, play for yourself and you won’t fit in to his team. In business, focus on your needs only and you are missing the whole point of leadership!! Point 9: Taking shortcuts has implications. Ownership for the team’s success must be held by the entire team. Leadership traits are the responsibility of all. My thoughts: I am a keen advocate of developing leadership skills in people, even if they do not have direct reports. Leadership is more than a role or title – it is first and foremost an attitude, with the skills and traits that effective leaders display being able to be learned by almost anyone. It takes significant effort and time to develop though, with no silver bullet to learning and application of leadership. Of course, how well these skills are portrayed is critical, but the point that leadership within the team is the responsibility for all makes perfect sense. There is the leader and there are those who lead! Overall, there were many interesting points raised on the night. Although the context between sports coaching, business and leadership has been written about many times, the first-hand examples and theories provided by Ange in his role as a successful coach of a national sporting team, have many parallels to business. How many can you identify with? I am very interested in your own thoughts and comments relating to sports coaching, leadership and aligned successes. and as a padre etc., i think this word is highly problematic and perhaps better phrased as invite, encourage, …explain the consequences of not doing it.. Etc etc.. Hmmmmm.